With all the attention on this year’s American presidential elections, one could be forgiven for failing to notice: The race for the Kremlin in 2018 is now on. In a video message released online this month, Alexei Navalny, the anti-corruption crusader and relentless Kremlin critic, announced he would compete to succeed Vladimir Putin, whose term as president ends in less than two years. 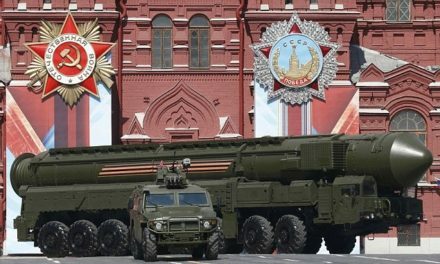 “But I don’t think Russia should threaten anyone or be at war with others,” added the candidate, arguing Russia’s might should be economic rather than military. The star of a protest movement against elections rigged in favor of Kremlin parties in 2011-12, Navalny has proven the rare figure capable of uniting Russia’s often fractured opposition. A gifted public speaker and a lawyer by training, Navalny’s speeches skewered Putin’s ruling United Russia bloc as “the party of crooks and thieves.” It quickly became the rallying cry of the street opposition. Russian liberals have expressed reservations about Navalny’s positions on issues such as immigration that, they argue, flirt with nationalism. Russian nationalists, on the other hand, consider Navalny too liberal. Navalny insists he falls into neither camp. But few would disagree that his Anti-Corruption Foundation, a crowdfunded NGO organized in 2011, has been a thorn in the Kremlin’s side. The foundation routinely uncovers stories of graft and excess among Putin’s inner circle. A recent video mocked Vice Premier Igor Shuvalov for ferrying his wife’s pet corgis aboard a private jet to dog show competitions around the world. But Navalny is also a proven campaigner. In a run for Moscow mayor in 2013, Navalny garnered 27 percent of the vote — far short of victory, but more than any other Kremlin opponent has managed at the ballot box. Hundreds of young Russians volunteered in the effort, despite a slew of state media coverage that painted Navalny as either an American stooge or nationalist. 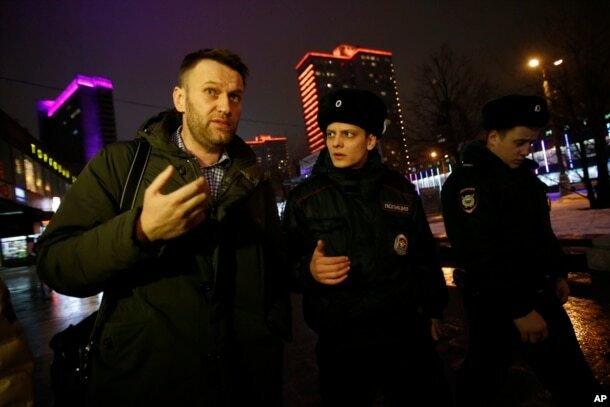 FILE – Russian opposition activist Alexei Navalny, left, is briefly detained by police after defying his house arrest to speak on Radio Ekho Moskvy in Moscow, Jan. 14, 2015. 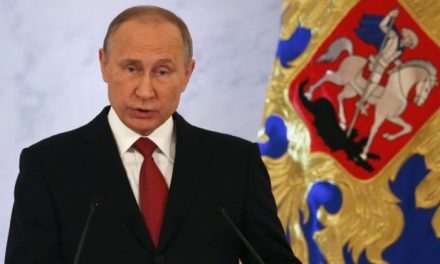 Vladimir Milov, an opposition politician who has publicly backed Navalny’s candidacy, called it welcome news to Putin critics dismayed by opposition parties’ disastrous showing in this fall’s Russian parliamentary elections. Yet hovering over Navalny’s nascent campaign are questions about whether the Kremlin will allow him to run. As Navalny’s star has risen, the opposition leader has faced numerous criminal court cases — all fabricated, Navalny insists, to stymie his political ambitions. Under Russian law, convicted felons are unable to run for office. 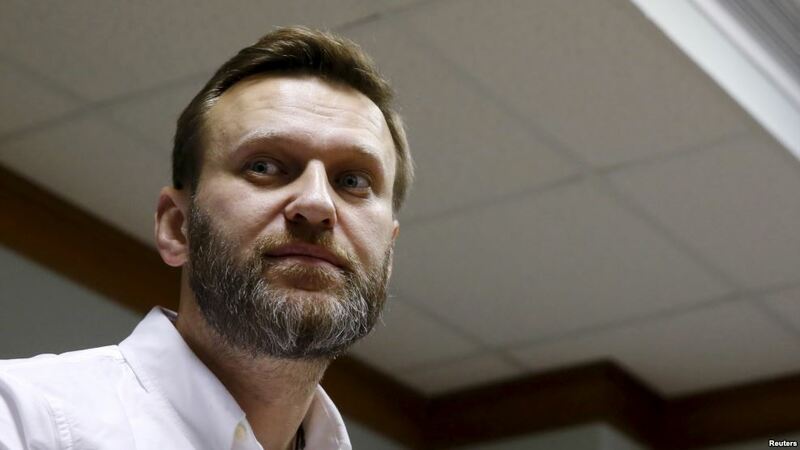 Last month, Russia’s Supreme Court overturned Navalny’s 2013 embezzlement conviction, bowing to a European Court of Human Rights finding that he had been denied a fair trial. The ruling appeared to open Navalny’s path back to politics. But the criminal case is being retried in Kirov, and a negative ruling could end Navalny’s candidacy as quickly as it began. 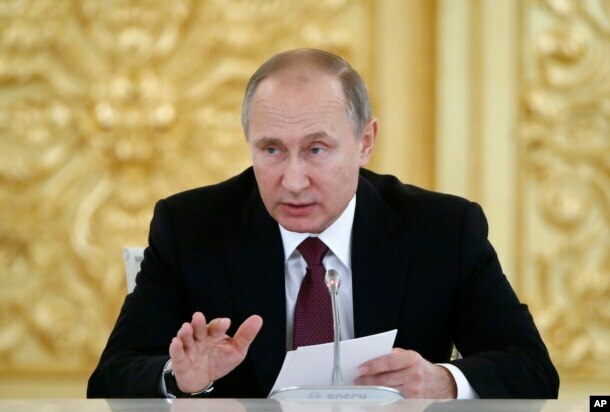 FILE – Russian President Vladimir Putin delivers a speech during a session of the Council for Civil Society and Human Rights in Moscow, Dec. 8, 2016. Publicly, the Kremlin has declined to comment on Navalny’s candidacy, but there are signs Putin’s inner circle is paying attention. Putin has repeatedly refused to reveal his plans beyond 2018, insisting it’s too early to decide. Most observers expect him to stand for office and, given current popularity ratings, to win. But Moscow political observers have been largely impressed by Navalny’s announcement, which they describe as a smart tactical move that injects drama into the election, the outcome of which many saw as a foregone conclusion. 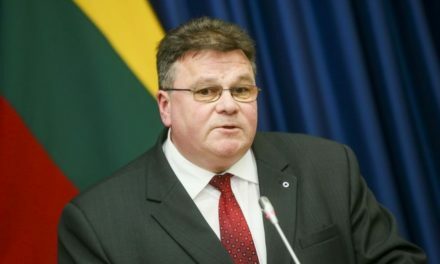 “It’s obvious that in the president’s administration, options are being discussed for how to attract people [to the elections] and give them legitimacy,” said political analyst Ekaterina Schulman in an interview with the Novaya Gazeta newspaper. One way, said Schulman, is to have real competition with strong candidates. 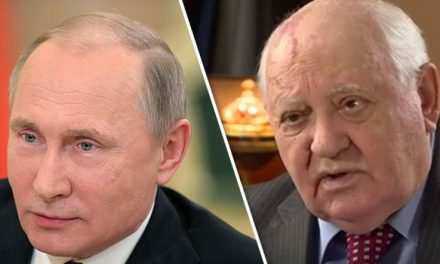 And Your Point Is Mr Gorbachev! ?